Designer Hiroshi Kato's unique worldview is on display at Museum Of Your History, which primarily sells the in-house denim brands Kato’, AAA and Grandma Mama Daughter, all of them going above and beyond the latest trends. Among these three, the long-running Kato’ reflects the designer’s careful attention to design, material, sewing, washing and feel, a combo that’s earned him international recognition. 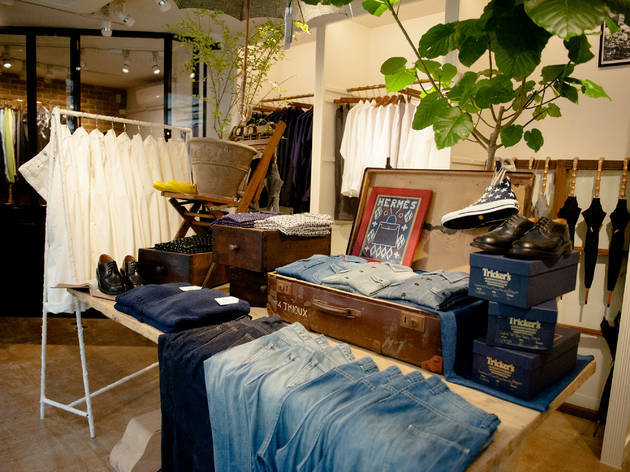 As for a recommended item, try the ‘Straight Denim’, which uses original selvage denim and has been a constant seller since it came out along with the launching of the brand in 1999. The tapered silhouette and the positioning of elements such as pockets, patches and rivets is exquisite. 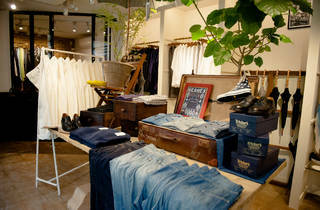 This flagship store offers the most complete collection of Kato-designed items, ranging from limited-run jeans to shirts and jackets that work nicely with denim, so you’ll be able to enjoy putting together entire outfits here.